My friend Sarah had a baby shower last month. I love putting together goodie bags or gift baskets for showers, so I immediately started brainstorming. 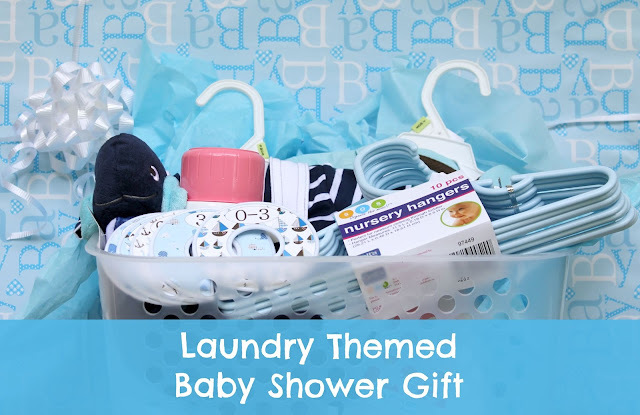 Looking over her registry, she had a cute laundry hamper and some light blue hangers that sparked an idea for a gift... a laundry themed gift basket! Her shower, nursery, and bath items were all whale themed, so it was fun to stick with blue and white nautical items. Need an easy and adorable gift idea? See what items I included in this baby shower gift basket! 1. Whale blanket with plus animal- This was on her registry, and while not laundry related, I thought it was a cute way to tie everything together and include her theme! Isn't he so cute?! 2. 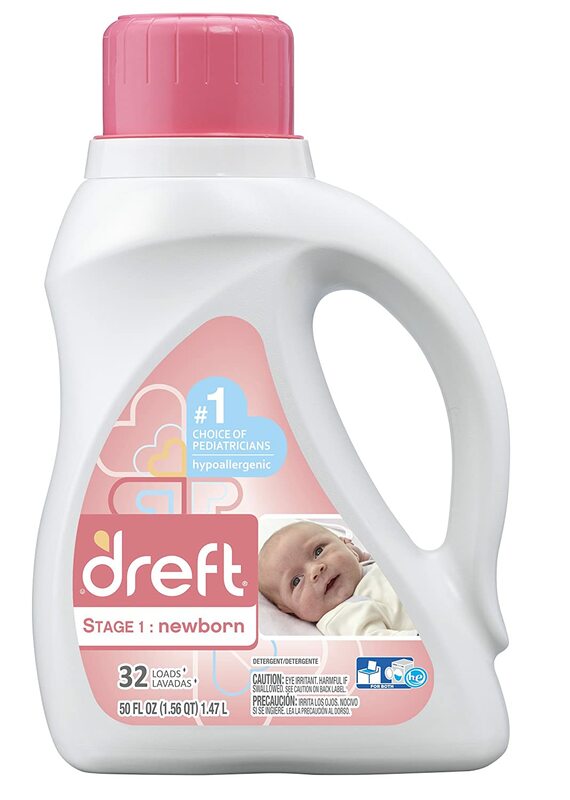 Dreft laundry detergent*- A must have for anyone having a baby! Sensitive enough for sweet little ones! 3. Outfits*- You of course need a few outfits to fill baby's new closet! Help them get started with a few in similar colors to the rest of the items in your basket. 4. Laundry Hamper- It wouldn't fit in the basket, so it's all wrapped up, but a laundry hamper is obviously needed for baby's dirty clothes! 5. Dreft stain removal spray*- Babies may be cute, but they're also messy little things! The new mom will be happy to have a baby friendly stain remover on hand. 6. 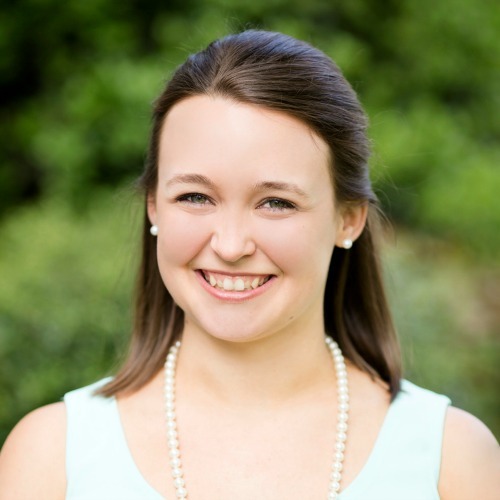 Closet organizers- New moms get so many clothes at baby showers! Help them keep the newly filled closet organized by size with these adorable closet organizers. 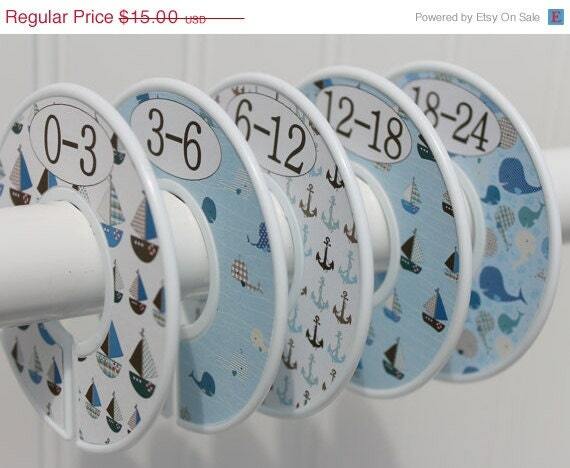 I found these nautical ones at Watch Me Grow Stickers. 7. Baby hangers*- Another must have for all of baby's new clothes! 8. Basket- You of course need a basket to put it all in! Fill with colored tissue paper to match and then add your items! Wrap with cellophane if you would like! 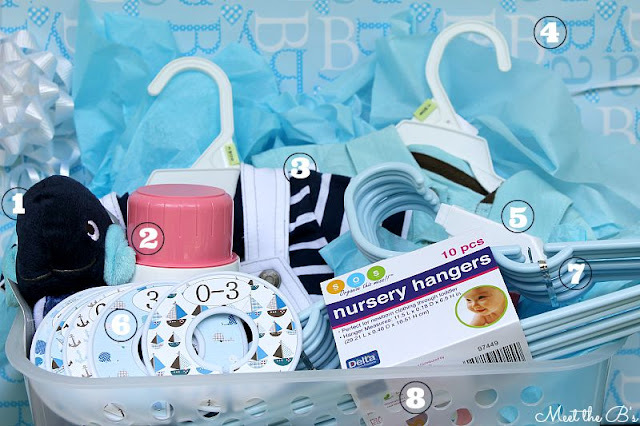 What baby shower gift baskets have you put together?